Fresh avocado moisturizing face mask, wildcrafted elderberry toner, foraged blackberry infused body butter…These all sound so lovely, but using fruit, vegetables, leaves, and flowers creates huge contamination issues as all manner of beasties, like fungus, yeast, and bacteria, show up for a fresh and fruity nutrient party. How do some of these companies advertising "fresh" ingredients make it work? There's no definition for "fresh", so you could use a recently mashed banana, powdered extract, infused oil, or fruit puree and describe it however you wish. Often there's such a small quantity - for instance, 250 grams avocado in 100 kilograms of product - that using a strong, effective, broad-spectrum preservative will be enough to keep the product safe-ish. I wrote to one company asking what a "fresh grapefruit infusion" meant in their products, and the customer service representative said it means they "squish a grapefruit in water", which could be anything from one drop or 19 gallons in a 20-gallon batch. Or they might be using these fresh ingredients in high pH or alkaline products where microbes are unlikely to survive, like soaps, lotions, body scrubs or shampoo bars. It might also be they don't know what they're doing. As DIY bath & body products become more popular, I see more and more terrible and irresponsible recipes created by food companies to showcase their ingredients, like the cinnamon-black pepper-cayenne pepper bath bombs I saw around Thanksgiving. (Can you feel the unpleasant, spicy tingle just thinking about soaking in it?) A large tea company shared a formula for Mother's Day last year that contained both a cup of tea and the wet leaves in a whipped coconut oil product that contained no emulsifier or preservative. Ponder for a moment what might grow in a cup of tea if you left it on the counter for a week or two. Besides, doesn't it feel kinda gross when you have slimy leaves brushing your skin as you rub in the product? In one of my early bath bomb attempts I used far too many rose petals, leading my mom to bluntly suggest removing them, "No one wants to soak in mushy flowers, Susan." As always, she was right! It seems so romantic to wander fields or forests with a wicker basket in hand, thinking about all the soothing, healing, moisturizing things you'll make with those botanicals. But making infusions at home simply isn't safe. No matter how well you strain that lovely infusion, there'll be minute particles waiting to create a festival of contamination when you add them to products that contain or might be exposed to water. If you use these infusions in something you sell, you may have to submit a certificate of analysis or another document to a local authority to confirm what's in the infusion, which can be extremely expensive. Every week, someone posts a picture on Facebook of some plant or fruit asking for help identifying it so they can infuse it for a soap or lotion, which seems incredibly dangerous considering how many plants want to kill us or make us very itchy. Besides, we all know dogs wee on anything below waist height, which is why I could never eat berries or clovers as a child. Also consider when you use fresh ingredients from your kitchen or the garden, you may not be getting all the loveliness you expect. Powdered and liquid botanical extracts are standardized for certain components, like polyphenols, phytosterols, vitamins, and more. For grapeseed, it's all about the proanthocyanins; for chamomile, anti-inflammatory polyphenols; and for green tea, the right amount of caffeine along with so many amazing molecules. 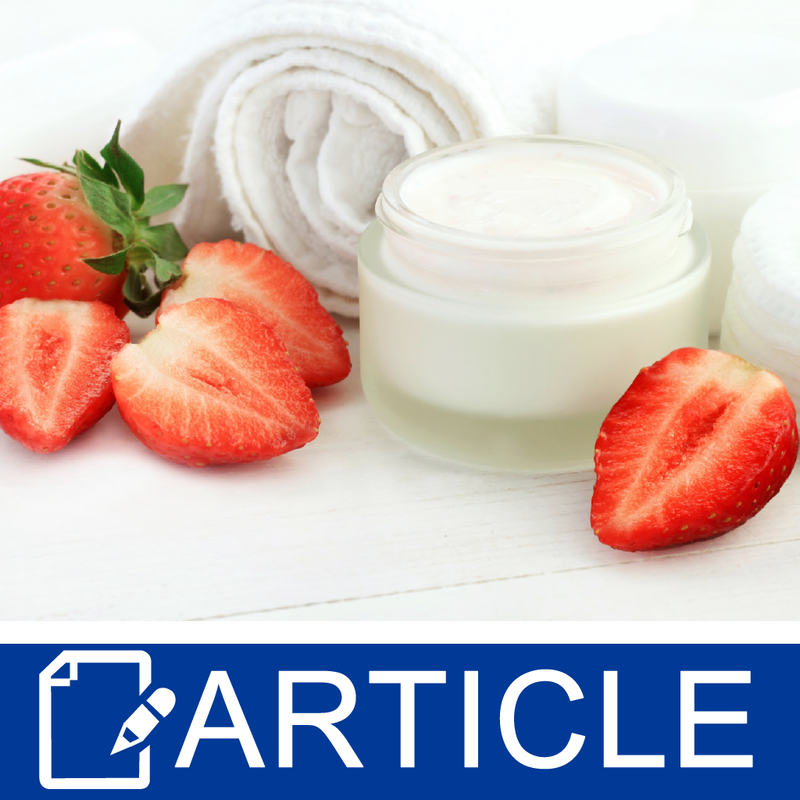 If you're making anhydrous products, like whipped butters or lotion bars, look for infused oils or butters, like blueberry, lemon, or acai berry, or oil soluble extracts. If you're making water-based products like toners, gels, or cleansers, look for powdered or liquid extracts, hydrosols, essences, floral waters, or distillates. If you're making emulsions, like lotions or hair conditioners, you can use water or oil-soluble ingredients, so consider what works well with the product. When I make a facial moisturizer with a large water phase, I lean towards hydrosols, essences, distillates, and extracts, and stay away from highly scented ingredients, as I can't stand having a smell under my nose all day, and brightly colored ingredients, like orange oils or red extracts. Thicker creams or body butters have a larger oil phase in which an infused butter could act as a thickener, while hand or body lotions could include any combination of these ingredients. Remember anytime you use a brightly or darkly colored ingredient, it affects the final product. I make a lovely foaming facial cleanser with grapeseed extract, which my mom used to hide it under the sink because, "ooh, it looks like blood." Again, she wasn't wrong. I'm sure I've beaten this into the ground by now, but please don't forget to include an effective broad spectrum preservative at the maximum suggested usage rate. I use 1% Preservative - Water Soluble or Phenonip, or 0.5% Preservative - Water Soluble PF in any hydrous I make to keep the beasties away. Make small batches you can observe over time to ensure your preservation system works well. All this talk of fresh, fruity ingredients has me excited to get into my workshop to create a veritable bounty of springtime products like a delightful chamomile infused whipped butter, soothing green tea & lemon butter lotion, and a citrus delight hand & body lotion using lemon, lime, and orange butters.